Shortly after Kipp Brown and his teenage son, Mungo, arrive at the stadium for their team’s biggest-ever football game, Mungo disappears. A short while later Kipp receives a text with a ransom demand and a warning not to go to the police if he and his wife want to see their son alive again. But as a massive, covert manhunt for the boy and his kidnappers begins, Detective Superintendent Roy Grace starts to realize that not all is what it seems. 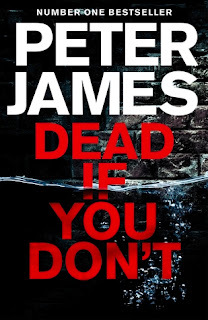 Another great addition to the Peter James series about Roy Grace. I have long loved these kind of books and consider them one of my guilty pleasures. 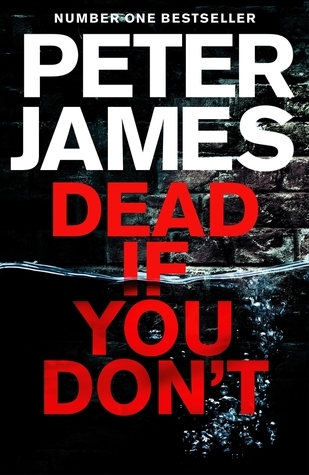 For some reason, I love police novels and especially those set in the United Kingdom so this definitely satisfied my craving for some Detective Inspector drama. Roy Grace is a loveable character who has faced his share of hardships which only endear him to us more while he relentlessly pursues criminals to bring for the justice. This book is no exception to the others. Roy tirelessly investigates the kidnapping of Mungo in this latest tale, discovering the harrowing underside of the city he loves and knows so well while letting the reader get to know him a little bit more. I absolutely love this series and always quickly read each new book despite them being quite lengthy as they are just that addictive!